After her divorce with Jim Cantore, Tamra Cantore is not making any headlines these days. Tamra and Jim who married in 1990 managed to stay together for 17 years. The couple is blessed with two adorable kids, Christina Cantore, and Ben Cantore. Both are grownups now. Well, after the divorce, has Tamra Cantore moved on with her life. Is she currently in a relationship? Is Tamra dating anyone? Know more details about her and her previous married life here in Frostsnow. Tamra Cantore and Jim Cantore have not opened up about their love life. But it is often said that they met for the first time in the year 1986. The duo then took some years understanding each other before they decided to get married. The couple finally exchanged vows on 6 October 1990 and went on to enjoy a blissful married life. Their happiness only doubled when they welcomed their first child, Christina Cantore, in 1993. Two years later, they welcomed their second child, Ben. The joyful environment of the Cantore family was shattered after it was revealed that both Ben and Christina had a fragile X-chromosome disorder. The disorder led Ben to suffer a lot while Christina was lucky enough to stave off the ill effects. 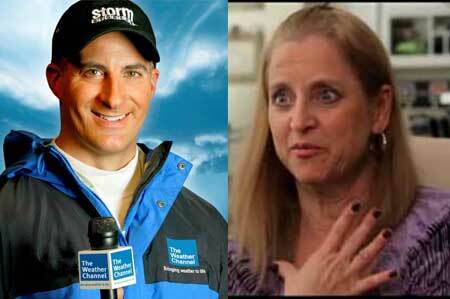 Amidst this all, Jim Cantore and Tamra Cantore decided to end their married life after 17 years, in 2007. But even after they separated, their love made them stick together and they agreed on remaining friends and raising their children. Fulfilling the responsibilities of a father, Jim Cantore seems to be enjoying quality time with his children and is on good terms with them. Back in June, Jim shared his son's photo on Instagram. Tamra Cantore, however, has not been seen with her children in recent days. But it doesn't mean that she has left them altogether. She is said to be in good terms with both of them but keeps her private life away from the media's reach. Is Tamra Cantore dating someone after her split? After ending her 17-year-long marriage, Tamra Cantore seems to have focused all her energy on her children and career. The 52-year-old lady is said to be still single since her name has not come up with anyone else's name. After the end of their married life, Jim Cantore is said to be in a relationship with Alexandra Steele. Although there is no definite proof regarding the meteorologists dating each other, they have been spotted together for more than a few times which has led us to believe that there must be something going on between them. It was a great heartbreak for Tamra Cantore when she received the worst news on her 40th birthday. It was confirmed by doctors that she had Parkinson's disease. But despite suffering from the disease, Tamra Cantore kept herself busy with her passion. Additionally, she also decided to take a step to help those suffering from the disease and founded Team Cantore. Tamra Cantore's foundation aims to raise awareness among people about Parkinson's and raise funds for researching the cure. And even though she and Jim Cantore have parted ways from their married life, her former husband contributes a portion of his $3.5 million net worth to the charity, giving his strong support to the cause. We salute the generosity of Jim Cantore and the willpower of Tamra Cantore! !